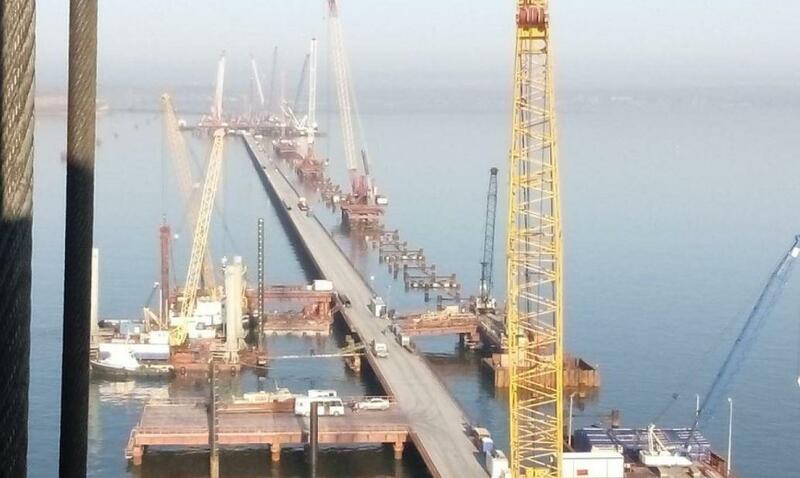 National and foreign specialists will be involved in the investigation into the violation of environment rules during construction of the Kerch bridge, Prosecutor General's Office of Crimea has reported. "On June 27, under the chairmanship of the Prosecutor of the Autonomous Republic of Crimea Giunduz Mammedov, a meeting was held with representatives of the Main Directorate of the National Police in Crimea and Sevastopol, the Regional Center for Human Rights, environmental experts and prosecutors to document violations of environmental safety rules during the construction of a bridge to the Crimean peninsula across the Kerch Strait for the criminal case, "the office said on Tuesday. The main directions were announced at the meeting, including the aim of preventing the destruction of rare species of life forms listed in the Red Book. Among the main directions is carrying out all necessary examinations; determining losses caused to Ukraine as a result of the construction of the facility, causing a serious danger to the environment of the Black and Azov Seas, as well as collecting evidence of violation of the requirements of international maritime law for their consideration in international judicial instances. "Taking into account the specifics of our work, we will involve not only Ukrainian specialists in the sphere of environmental protection and environmental safety into the criminal investigation, but also foreign organizations such as the National Aeronautics and Space Administration (NASA) and other organizations. The uncoordinated construction of the bridge should not destroy the unique flora and fauna of the Black and Azov Seas. Economic entities involved in the construction of the bridge should be responsible for their actions," Mammedov said.